BOSTON, Mass. -- Since Jason Varitek first showed signs that he was beginning to age several years ago, Red Sox fans have been clamoring to identify the team’s catcher of the future. Prospect followers have bet on a number of players to come up the ladder -- from those since traded, such as Tim Federowicz, to those still around like Ryan Lavarnway, to those still farther down the system, like Christian Vazquez. 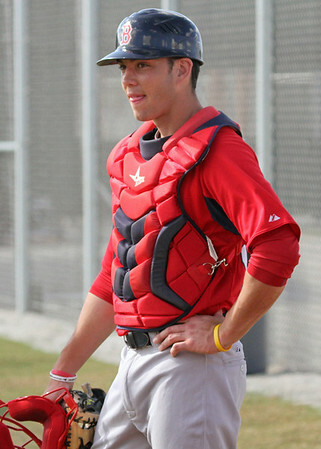 But the team may have finally found that future stalwart in 20-year-old Blake Swihart. Swihart was selected in the first round of the 2011 draft with the pick Boston received as compensation for departed free agent Adrian Beltre. Though Swihart was considered one of the top catching talents in that draft, it was not a position at which he actually had much experience.